Show them a good time with the Orange Afro Wig. This fantastic hairpiece is great for a variety of costumes. 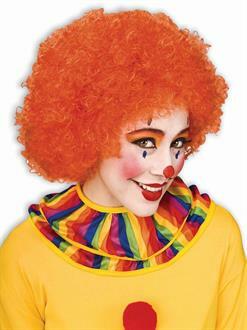 Become a funny clown or create your own wacky character. No matter what you choose, everyone will love your sense of humor.